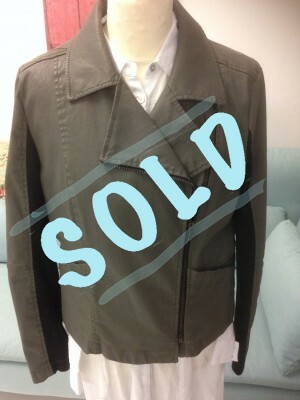 Pennyblack combat green jacket, zip at front. Black panelling at the sleeves and at the back. Long sleeve, waist length. Size 14. Jacket is 98% cotton and 2% elastan.